Being a Californian, I am totally spoiled by having access to delicious fruits and veggies all year long. But the Spring brings back some of my personal favorites to the farmers market. God, there’s nothing like buying fresh organic strawberries off the little farmer’s stand on the street corner. As I see them all start to open their doors, I remember it’s almost summer! Seasons Greetings and Happy Eatings! Enjoy! Beets: The canned veg of doom? And it’s really hard to know what to do with beets, as far as recipes are concerned. In fact the only recipe I can think of off hand is my grandmother’s Borscht…which, well we won’t get into it… but it’s not a very good advertisement for this vegetable. Fortunately, though beets get a pretty bad rep, if eaten fresh and prepared correctly, this sweet and color-rich vegetable can make for an incredibly healthy and delicious ingredient. The freshest beets can be found between June and October. As a root vegetable, the meat of the beet grows underground while its leafy stems protrude from the soil. Before cooking, beets are hard and crunchy, however with preparation they transform into buttery bites of sweet delight. They are also incredibly beneficial for maintaining a healthy diet, high in complex sugars, rich in anti-oxidents, and low in calories! whooaa-ho! oh, AND they contain powerful nutrients that have been proven to help protect against birth defects, heart disease, and colon cancer. Ok, sorry maybe I am a little too enthusiastic about these beets, but I’m telling you the first time I saw those bullseye ones I thought I was having some kind of drug-induced flashback. Crazy what kind of edible-art nature can produce huh? And just because I am nice, I’ll add in a delish recipe that I found that will appeal to even the pickiest eater. CAKE!…..beet cake. It may not be the most low-cal recipe but it’s a nice way to transition beets into your diet. Yes? If you like carrot cake, then you’ll love this unusual dessert. The batter is bright red but bakes to a golden brown. You may want to wear an apron while grating the beets because they tend to splatter. Would you like some Corn with your Corn? So just a quick bit, I am currently reading Michael Pollan’s The Omnivore’s Dilemma because naturally as a foodie thats into the environment, this book is right up my alley. Anyway, though I have only just begun I have already been introduced to so many horrifying statistics and factoids that I am considering becoming an AIRitarian….that’s right, I’ll just eat air from now on…. For example: Apparently there is corn or some sort of corn by product in about 80% of all the processed foods we can find in the supermarket. To list a few: Mayonnaise, nondairy creamer, frozen yogurt, cheez whiz, soups, snacks, cake mix, frosting, frozen waffels, syrups, hot sauces, hot dogs, bologna, salad dressing, VITAMINS. my GOD! Why is it so bad be having this much corn? Who cares if you’re eating corn in basically every foodstuff that enters your mouth? Well, amongst the ridiculously long list of reasons, corn has become a commodity, not only a food product. In fact, many farms across the midwestern “corn row” (an area of America completely filled by acres and acres of corn fields, about twice the size of New York state) are growing corn that is not even directly edible by consumers. 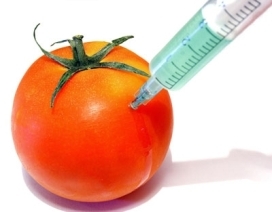 This genetically modified, easy to maintain, governmentally subsidized product, is grown in obscenely large amounts (larger than any American consumer can eat) to feed livestock, fatten them up more quickly, to make us some Grade A meat, and FAST! …And what’s worse, is that these livestock (and EVEN SALMON) are not accustomed to having a corn-based diet, making these animals sick or extremely vulnerable to disease. But thank god for antibiotics right? I love me some antibacterialized beef. What’s absolutely disgusting is that the corn in all of our food increases the caloric value astronomically, but for no reason at all. Maybe THIS is the reason for such high rates of type 2 Diabetes, and obesity in America? I will make more updates about this book as I read it, seriously I am just turning each page, more and more horrified. There is much more to say about corn, but to be honest, I don’t have the mind or the stomach to list all of them right now. I am being haunted by the corn in my pantry, I think I just heard my box of Special K taunting me… wow I need a nap. Has anyone else out here read this book? Any reactions to the corn section? You ever wonder why the majority of those seemingly flawless fruits and veggies that come from the supermarket have absolutely no taste at all? We’ve all had those moments when biting into that plasticized apple brought back memories of eating paint chips as a child….come on, you know what I’m talking about. The majority of fruits and veggies you get at the supermarket are produced and cultivated because these particular varieties can withstand trips from long distances and remain seemingly fresh for weeks before showing signs of age. The taste however, is usually closer to cardboard than a fruit or vegetable. We begin to ask ourselves, where did all the real fruits and veggies go? The ones that our grandparents told us about when they were kids? These sweet, succulent, fresh, and delicious fruit and vegetable varieties, or heirlooms, can be readily found at local natural foods stores and farmers markets. This is where the consumer goes when he is fed up with the fake stuff. 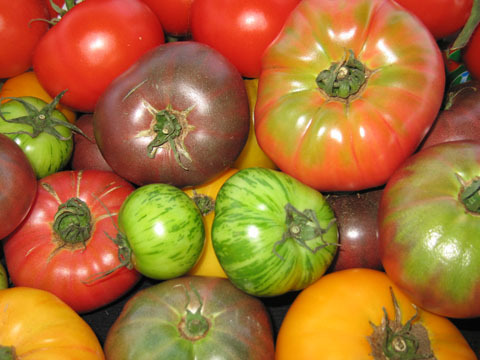 Heirloom, or antique, is a word that is used for a fruit/veggie variety that has been cultivated for many generations. These varieties were cultivated much more at the beginning of human agricultural history than they are now on a large-scale. Heirloom seeds have a long history, constantly adapting and changing to thrive properly within their respective environments, making them resistant to local pests and diseases. 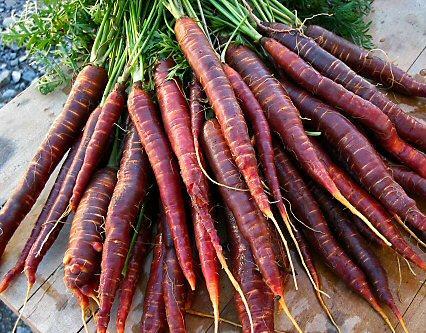 Because these heirloom varieties have a pedigree, they come in interesting shapes and colors, such as white tomatos, purple carrots, and striped beets. The flavors of these products speak for themselves. Because they are only grown during their respective growing seasons, when purchased, these fruits and veggies are at the peak of freshness, and usually come from a relatively local farm. 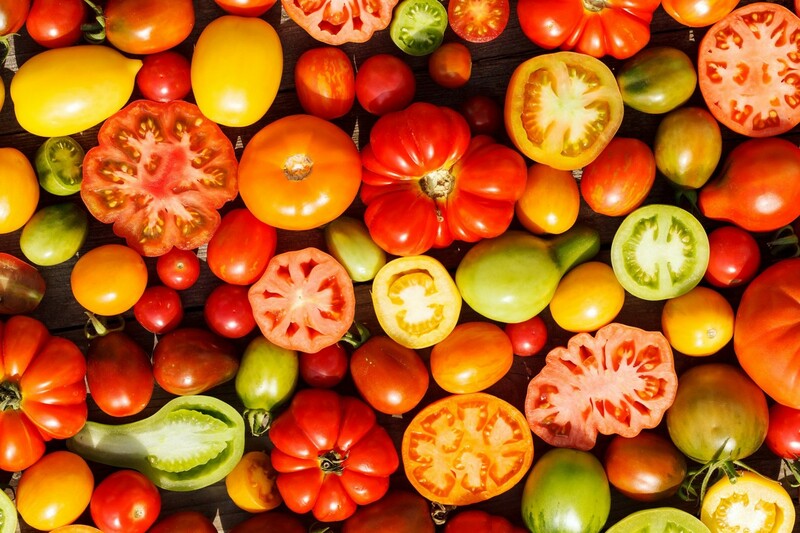 So you may be asking, “If these Heirloom things are such a big deal, then why wouldn’t supermarkets carry them?” Well, unfortunately heirloom varieties of fruits and vegetables are not as profitable as your generic mass produced varieties. They usually perish more quickly and can therefore not sit for long on shelves or keep well for cross-country/international shipments. Also, the varieties bred for the supermarket usually all look the same both in size and color, and ripen at the same time, allow for a more convenient/reliable product. The commercial grower’s hybrid bred varieties are a sacrifice not only to taste, but to the rich culture and history of American agriculture. For example, before the mass production of commercialized hybrid produce varieties, nearly 7,000 varieties of apples existed in the country in the early 1900s, now unfortunately less than 1,000 exists and the number is constantly diminishing. 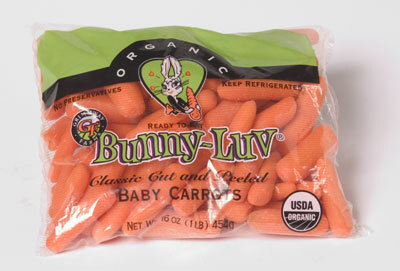 This reality exists for a large array of our fruits and vegetables, including potatos, lettuce, carrots, and tomatos. Home gardeners and small farms continue to cultivate heirloom varieties to maintain the richness of our agricultural past. It is something of a tribute to a memory of the centuries old fruit and vegetable lineage that is slowly dying out for more capitalistic motivations. This is the biodiversity that is being lost to the industrialization of agriculture, and what a shame. We are being denied the fundamental right to gastronomical pleasure, just so the commercial growers can make an extra buck! To gain some perspective. Lets do some photo comparisons. 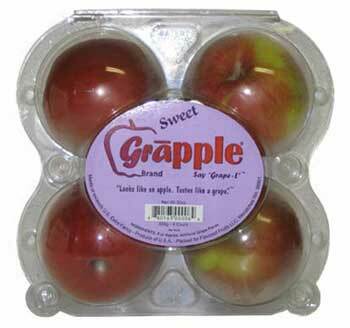 Because who doesn't want an apple that's genetically modified to taste like grapes? Tree-ripe Heirloom Fuji: I'd prefer an apple that tastes like apples thanks. Is that a cheese puff? My opinon may seem bias, but that is only because I can see and taste the difference between the commercially produced and the environmentally sound and delicious Heirloom varieties. Next time you find yourself in your local neighborhood market, pick up an heirloom fruit/veggie and give yourself a blind taste test with the other fruits and veggies you have at home. Tasting is believing.